Are you interested in pursuing a career in Allied Health? If so, congratulations. This is a field with a number of great opportunities. One of which is being a Certified Nurse Aide (CNA). CNAs work on the front-lines of healthcare. They are responsible for helping deliver basic care. They also assist residents with daily activities. The role of a CNA is very important. As such, today we are talking about some of the Qualities of a CNA/ CNA Skills. Below we will talk about five qualities a CNA should possess. Check them out! Many CNAs consider patience as the top skill needed to succeed in the workplace. A CNA often works with patients that are sick. The patients may also be scared and perhaps even irritable due to their surroundings. In any of these cases, it is important for a CNA to exercise patience. They can do this by controlling their reactions to patient behavior. They can also maintain a calm and supportive demeanor. Having patience is critical to being a successful as a CNA. 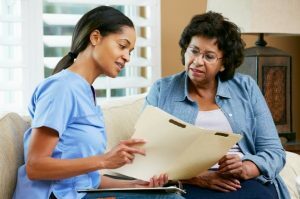 CNAs are responsible for communicating with several different groups of people. This includes patients, doctors, and nurses. They may also interact with patients’ families, facility staff and more. 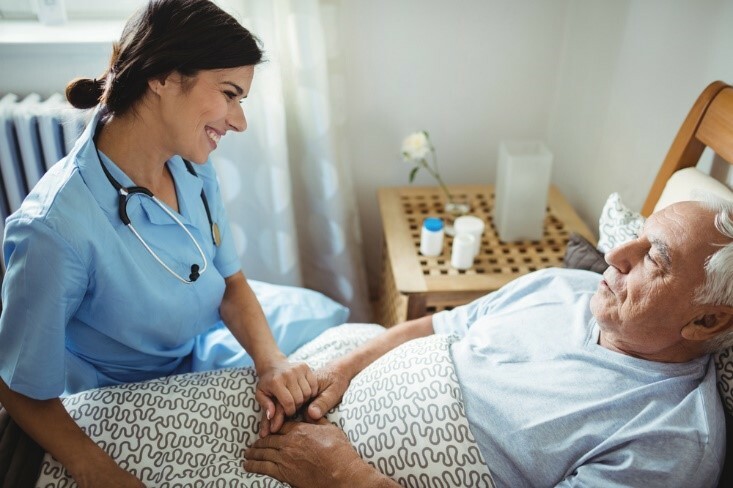 Because of the varying people a CNA interacts with, it is important to realize that the communication with each may be slightly different as well. When speaking to a patient, a CNA may need to speak slowly and use basic terminology. With a doctor or nurse, they may need to give a medical-specific summary. Understanding this, as well as being an active listener are key components of effective communication for a CNA. Empathy and compassion are necessary for every individual working in the medical field. A CNA must be use empathy and compassion on a regular basis. 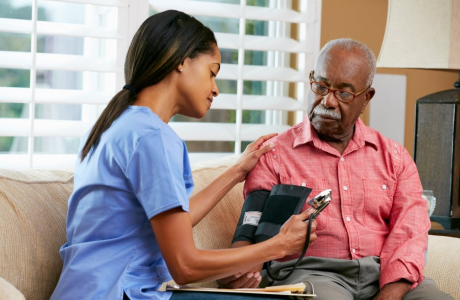 Many CNAs work in nursing homes where care and compassion can have just as much impact as taking care of that person’s physical needs. Physical labor is an unavoidable aspect of being a CNA. Working long shifts is not uncommon for CNAs. 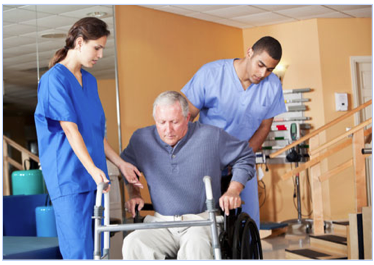 During their shift, a CNA will spend most of this time on their feet. 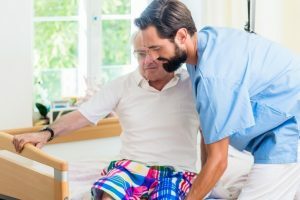 They may also need to lift patients in and out of chairs, help patients use the restroom, and complete other physically demanding tasks during their shifts. Because of this, it is important for CNAs to have good stamina. CNAs must have good attention to detail. On a daily basis, they will likely work with patient charts and forms. These contain pages of important details that must be transcribed correctly. It is also necessary for CNAs to pay close attention to nonverbal cues and changes in patient’s behavior. Because CNAs provide most of the direct care given to patients, their noticing of these signs may save a patient’s life. These are some of the most important skills for a CNA to have. Please do not feel discouraged if you do not possess one or more of these skills currently. Every skill in this list, and more, can be gained through determination, hard work, and the right training. 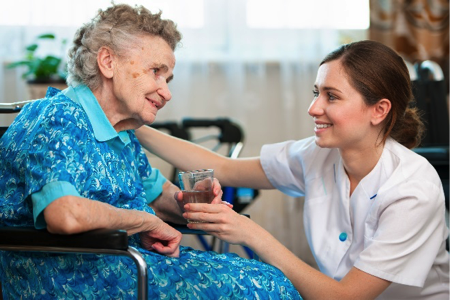 Training Direct’s Nurse Aide course is divided into two parts: on-site instruction and clinical training. 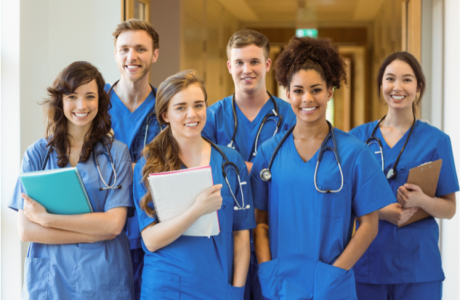 Students will have exposure to fifty-five (55) hours of in-class instruction and forty-five (45) hours of instruction will take place at one of our clinical sites over the duration of the course. Topics covered in the training program include introduction to the human body, effective communication and interpersonal skills, infection control, safety and emergency procedures, patient rights, taking and recording vital signs, end of life care, and more. In as little as 3-4 weeks, you could be on your way to beginning a new career in the healthcare field as a Nurse’s Aide! If this interests you, then call 888-856-7096 or click here to learn more.